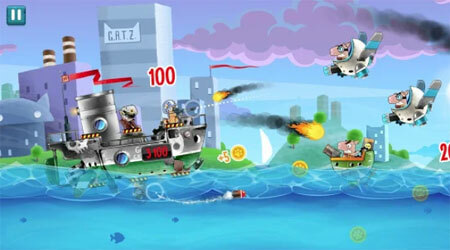 Cats vs Pigs: Battle Arena is a new online action game from Grossing Games. It will blast your gadgets with cute graphics, humorous angry cats setting and shooting controls inspired by games with birds. You can directly control your battle machine using slingshot mechanics. To make a shot you need to literally pull the cat’s tail. Assemble a team of cute cat sailors. Design and craft the ultimate battleship. Learn special abilities of Captain Meow and combine them into a perfect deck. Battle against other players in hilarious PvP action. Fight your way to the top. Join Captain Meow on his breakneck mission to gather an armed gang of tiny feline corsairs, rescue back the missing artifacts and teach Frog of War a good lesson. If you get stuck in the game, check out the video walkthrough and gameplay for the game. This entry was posted in Android Games, iOS Games, Mobile Games, Walkthrough and tagged Cats vs Pigs: Battle Arena Cheats, Cats vs Pigs: Battle Arena Game, Cats vs Pigs: Battle Arena Gameplay, Cats vs Pigs: Battle Arena Guide, Cats vs Pigs: Battle Arena Hints, Cats vs Pigs: Battle Arena Review, Cats vs Pigs: Battle Arena Solutions, Cats vs Pigs: Battle Arena Strategy, Cats vs Pigs: Battle Arena Tips, Cats vs Pigs: Battle Arena Walkthrough by Marvin. Bookmark the permalink.